When you want a good box of chocolates, look no further. Exquisite and beautifully box, this makes an excellent gift through their letterbox. Simply divine - a luxury, indulgent selection of 6 Belgian chocolate truffles including delicious flavours such as Champagne, Milk Praline & Dark Ganache sitting in a neat white ballotin and finished with red ribbon! 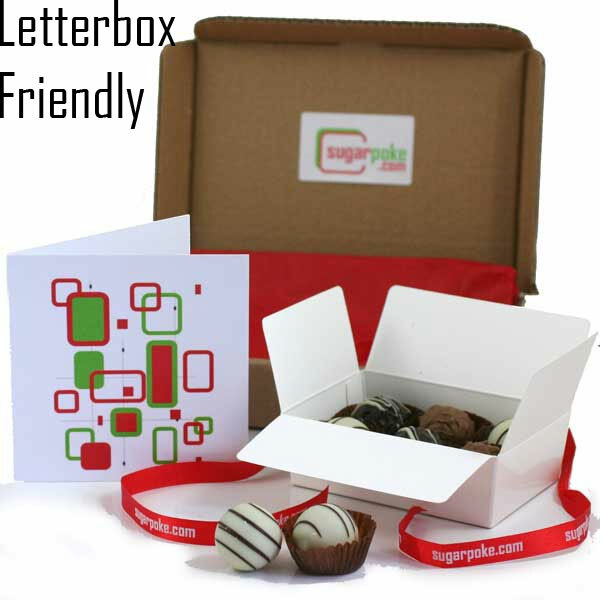 A little box of truffles in the post to wish a friend happy birthday is a brilliant idea! these trofles are amazing so yummy bye them bye them bye them THANKYOU SUGAR POKE!!! These chocs dont last long they are simply amazing!